ZOMG Pitchfork Music Festival is this weekend! Start your Saturday and Sunday off all civilized and shiz at Nellcote with Mimosas, EXCELLENT Bloody Marys and the sweet musical stylings of DJ Samm and DJ Megan Taylor. Plus I'll be there capturing all the fabulous festival style so come dressed to impress (as always!). 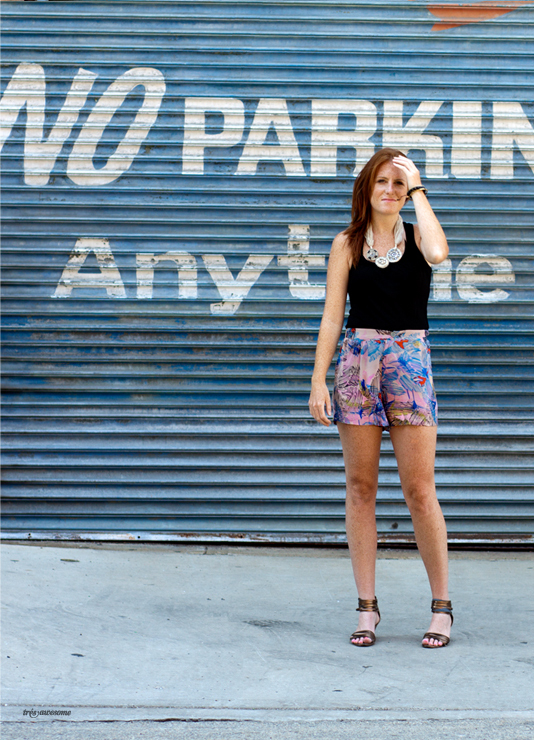 I caught up with Ms. Megan who will be spinning at Nellcote on Sunday for a little street style action and musical Q+A. What will you be spinning at Nellcote on Sunday? A mixture of performers from all of the Pitchfork years plus friends. (Smile) I know this isn't very specific, but I mainly am focusing on the energy and vibe. Walking into Nellcote you already feel better about life, and I just want to add to that with upbeat hip music, that sets everyone off to have a killer day of music. What is your favorite pitchfork performance or memory of all time? Cut Copy's performance last year is at the top of my list. They brought such an amazing energy to their performance last year, especially for a Sunday night. I loved the lights that went with their show, and it was the first time I got to hear samplings from their album Zonoscope. Their live performance is so powerful and captivating, and has the unique ability of unifying the entire audience. Who is your dream headliner lineup for Pitchfork? Want to score a free brunch for two at Nellcote this weekend before getting jiggy at Pitchfork? Just tweet "Can't wait to see (your fave band here) at Pitchfork Music Fest @tresawesome @nellcote" I'll be announcing a winner on Thursday at 8pm. I hope Chicago will be played at Pitchfork Music Festival 2012! Cheap Chicago show tickets are on sale at GoodSeatTickets! Grab them now!